Wedding Inspiration: Everything’s Just Beachy! As summer winds down, we’re still craving sand and surf. The holiday we took already seems long gone! 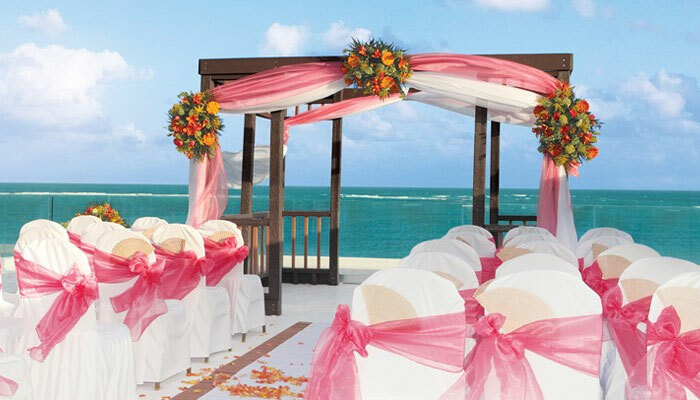 But lucky you, destination brides, you still have so much to look forward to! Let us live vicariously through you and inspire you all at once. Let’s start out with…drumroll please…fantabulous real destination weddings from some of our favourite U.K. wedding blogs! An intimate affair – Love My Dress features this fun and incredibly personalised Irish-beach wedding that makes us sigh with its sweetness. Love the addition of a pirate-themed reception! A dreamy destination – Whimsical Wonderland Weddings shows us that this party capital of Spain is host to more than DJ beats all-day, every day. Ibiza, it seems, also makes for one stunning backdrop (look at that water!) for an ocean front wedding. Yacht club – This smart couple on Rock My Wedding’s blog joined a private member’s club in Bangor and got a huge steal on the fee for their contemporary-cool destination wedding. Beachy keen – English Wedding Blog captures this cutie couple with their feet in the sand as well as their sparkling underground-fort reception in a quiet little corner of Cornwall. 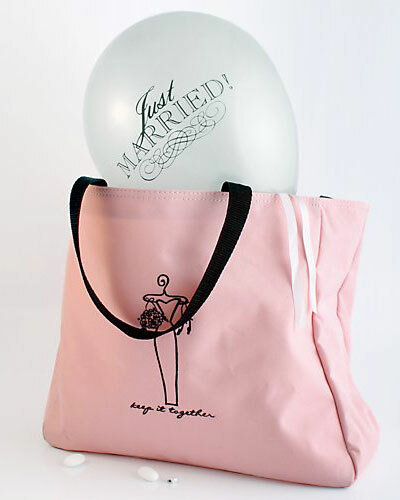 Next up, some destination accessory wedding must-haves from Bride & Groom Direct. Hot ticket. Let them know far, far in advance (see our blog from last week on timing etiquette!) 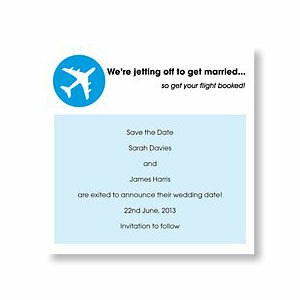 of your island nuptials and perfect for the modern couple, check out our Holiday Ticket Save the Date Card. Jet setter. The Love Airways is coming to scoop you and your closest to wherever your heart desires with this whimsical Jetting Off Day Invitation. We sell, seashells. 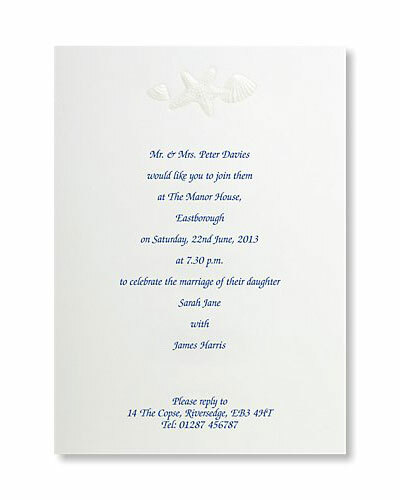 Head to the shore with this classic, white Seashells Evening Invitation embossed with pearl-foiled starfish and shells. Pail in comparison. 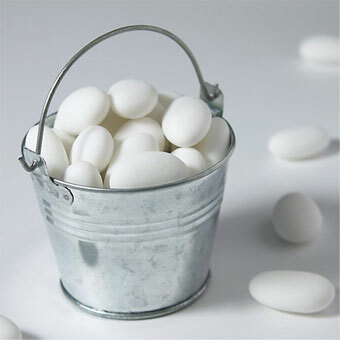 Build a sandcastle… or just create cute little favours with these Galvanised Favour Pails. 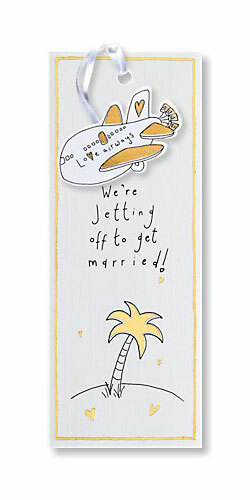 And last but not least, B&G are offering 25-50% off destination wedding décor until the end of September. There’s also plenty more wedding themes catered for when you take a look out our discounted wedding stationery..
Share your exquisite destination wedding photos with us! It’s super-simple to do. For find out more, simply go to our ‘Your Real Weddings’ submissions page.